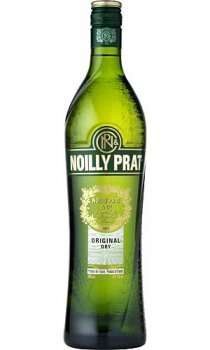 Noilly Prat (pronounced Nwa-ee Prat) Original Dry is beautifully crafted in the South of France. It is created using the unique production process that involves the regional grape varietals of Picpoul and Clairette, from the surrounding areas of Marseillan, being aged outdoors for just over a year in oak casks which are exposed to the natural elements. Expressions of Noilly Prat are defined by the individual, secret recipes of around 20 aromatic herbs and spices, sourced from all over the world. Signature serves include L'Aperitif served with oysters and the classic dry martini cocktail. Perfect for classic and contemporary cocktails, ideal for use as an haute cuisine ingredient and a wonderful complement to seafood dishes. Re-top review stating shelf life of opened bottle. Keep your Vermouth in the fridge after opening and it will keep fine for six months but not beyond. I agree with the below two reviewers that this is a good quality vermouth but remember a vermouth is a a fortified wine and therefore shouldn\'t be kept for more than a maximum or a week or two after opening (refrigerated). This is excellent in a Martini and like the last reviewer said pay extra as this will last a very long time and the taste is worthwhile. I would not make a vodka or gin martini with anything else. It may cost more than other vermouths but when you taste it you will find that it is worth the extra couple of pounds. (Also, given how little you need for a dry martini, one bottle should last for months.) The depth of flavour is superb.